Microsoft may have an even more accelerated release schedule in mind for Windows 9 as new rumors suggest it could launch as a fully built operating system this fall. 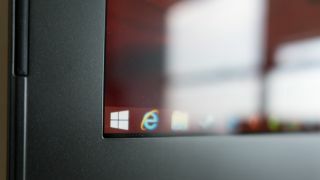 The infamous leaker WZOR posted new information to Russian bulletin boards suggesting Microsoft plans to launch Windows 9 this fall backed by a substantial advertising campaign. Up until now, we've only heard that the Preview build would drop during that time. Other than quickly suggesting a fall release schedule and nonchalantly describing the Windows 9 marketing campaign as "fantastic," WZOR spent much of his forum post explaining the OS' activation system. Supposedly the next version of Windows will register automatically once users connect to the Windows 9 Store. Users will also supposedly be able to take the key and save it in a special "ESD-RETAIL" format on a flash drive. This would potentially allow users to migrate their copy of Windows 9 to another PC. However, users who attempt to run multiple copies on separate machines will be asked to "undock" it within three days. While this all sounds mighty similar to Windows 8, it's news that suggests Windows 9 won't be the first free Microsoft OS many users are hoping for or exactly what Wzor originally reported on June 25. So far Microsoft hasn't commented officially on the rumor, but Microsoft Communications Chief Frank Shaw tweeted out, "Was there a 'crazy rumor day' declaration that I missed?" Although Shaw did not call out Wzor's report specifically, it's very likely the Microsoft chief meant to dismiss the rumors of a Windows 9 fall release. With that in mind we're going to look at this latest rumor with some extreme skepticism, but it all seems very likely we will see Windows 9 in some form this fall. Until then, stay tuned to this space for more news.